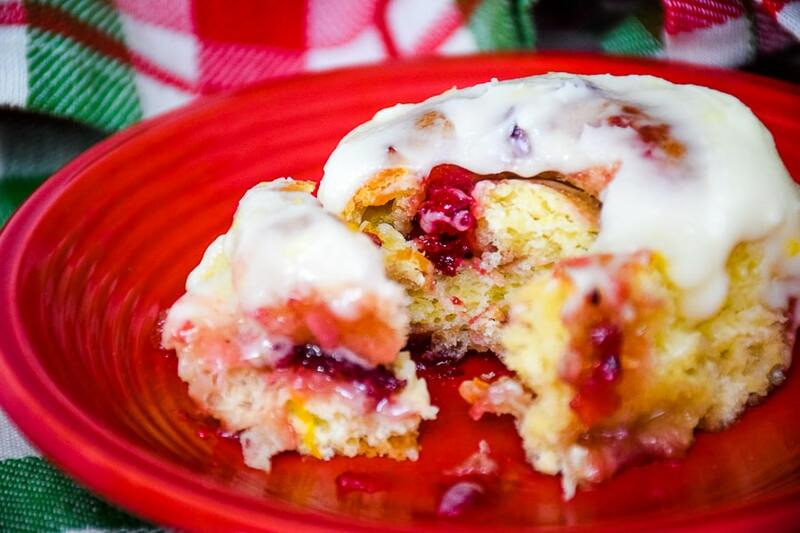 Cranberry Orange Sweet Rolls are perfect for the holidays. 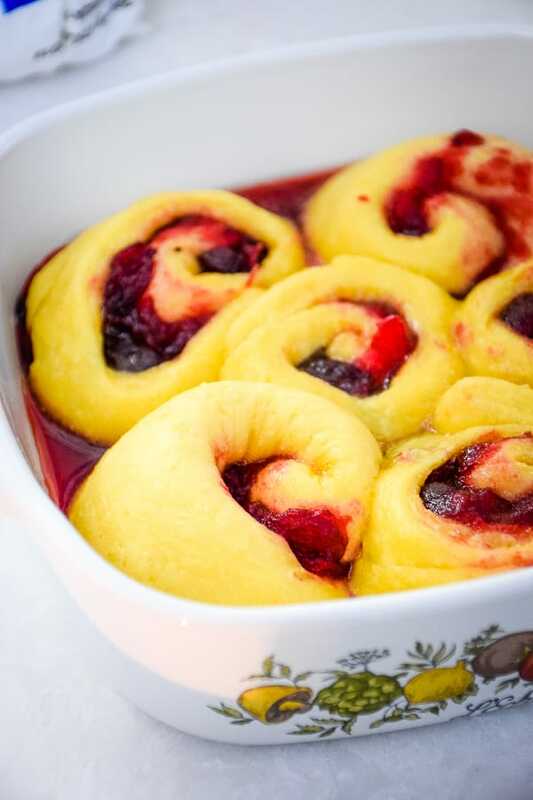 Citrus infused roll dough and icing top these homemade rolls that are filled with a cranberry sauce on the inside. When I was a child, one of my favorite things to wake up to in the morning would be the aroma of yeasty, warm cinnamon rolls that my mom had in the oven. To me, there is nothing better than a fresh, out of the oven sweet roll! It not only satisfies the senses, but also the heart! 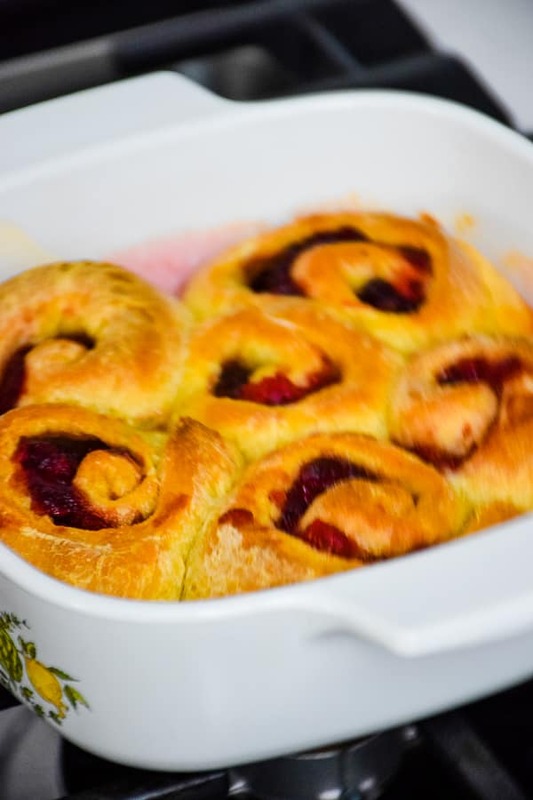 My affection for sweet rolls is pretty prominent here on the blog. Think Pumpkin Cookie Butter, Raspberry Rhubarb, Apple Filled, and I even have a keto version for a Blueberry filled roll! There is something about the soft, pillowy dough that gives me great comfort. It could be because my mom was really good at making them so nice and fluffy and delicious! I tried a working keto recipe but wasn’t happy with it myself, so I certainly wasn’t going to share that here. I finally decided to go back to yeast and regular flour. While I am good at some things keto, I feel really challenged and feel like I’m wasting a lot in recipe testing. It gets discouraging but I won’t give up. After all, I am a food blogger and I love to cook and bake! 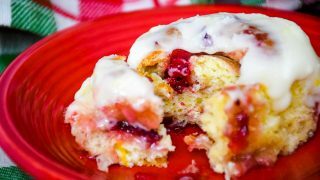 Cranberry Orange Sweet Rolls had to happen though! 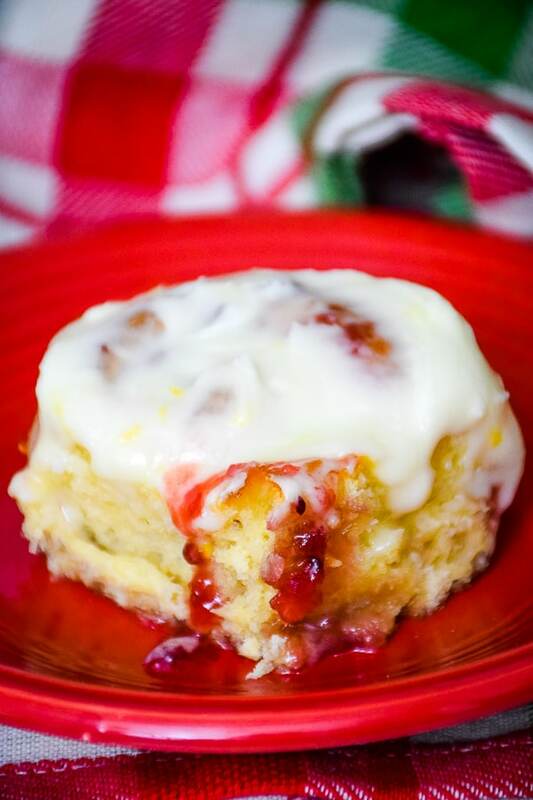 I think, like many others probably do, that cranberry orange flavor brought together is perfect for the holidays. 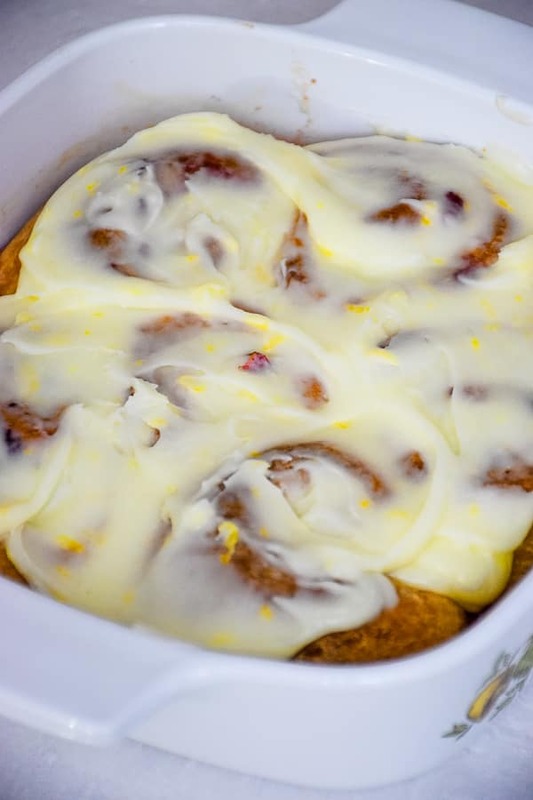 I wanted an orange flavor in the dough itself and I wanted to top with an orange icing. For the filling, I used some leftover whole cranberry sauce and added a tiny bit of brown sugar atop the dough before spreading with the cranberry sauce. For the icing, I used butter, confectioners sugar, orange juice, orange zest and a couple of drops of orange extract. I added the extract because after I mixed the icing together and tasted it, I felt it didn’t have enough orange flavor, it had more of a buttery flavor. With just the two of us in the house, I wanted a small batch. None of this dozen or two rolls lying around the house! I feel any sweet roll is best the day they are made. Day two is usually ok, but when you hit day three, the quality starts to dwindle. Rolls either dry out or get soggy. Neither of those scenarios is good! 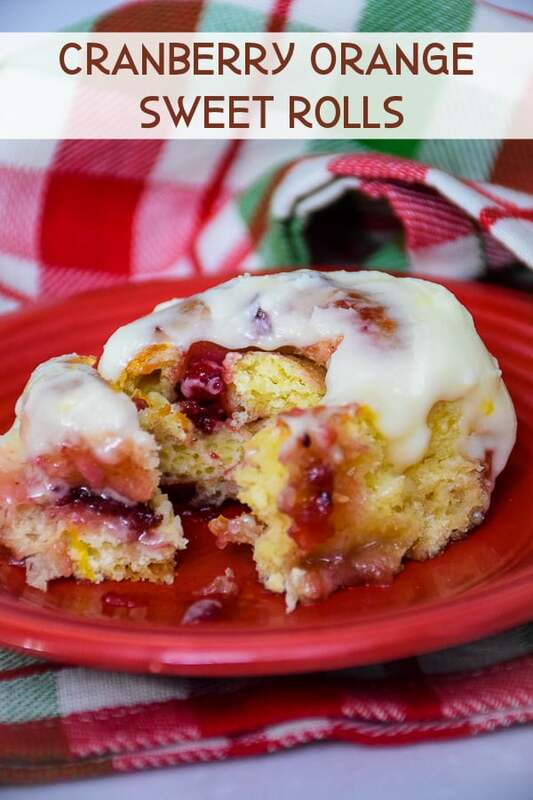 Don’t forget to Pin and Share Orange Cranberry Sweet Rolls! A few tips for a successful Cranberry Orange Sweet Roll! Have everything in order before you start. This means making sure you take your ingredients out that need to be at room temperature at least 30 minutes before assembling. When melting the butter, do not let it bubble. Melt it over low heat on the stove top in a small pan. I added the orange juice to the melted butter and let it warm a little also. If it is steaming, it is too hot. Make sure it is lukewarm before adding to your flour mixture. When it comes to cutting the rolls, I always use unwaxed, unscented dental floss! You slide it under the rolled dough and bring it up and across like you are going to start to tie a shoe. Then you pull each side to slice the rolled dough. Because this is small batch, you need a small baking dish. I used a vintage square Corningware baking dish. If you don’t have something similiar, you could always use a small bread pan! Just be sure whatever you use is well buttered. 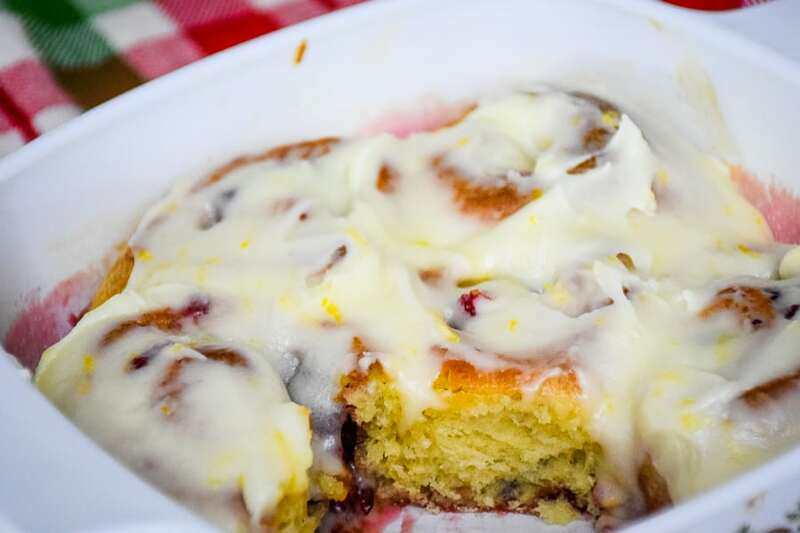 So, if your craving some sweet rolls but don’t want to make a big batch, then definitely give this small batch recipe a try! In a mixing bowl, combine 1/2 cup flour, salt, yeast, and sugar. Whisk together egg, butter, and orange juice. Add wet ingredients to dry ingredients and mix to combine well. Dough will be wet and loose. Gradually add flour, 1/4 cup at a time, until dough begins to take shape. Turn dough out onto floured board and knead in remaining flour, using more if needed. Lightly oil the bottom of a large glass measuring cup (I used a 2 cup measure), Place dough inside cup and flip over to coat with oil. Proof for 45 minutes to one hour. When dough has doubled in size, turn out onto lightly floured board and roll into rectangle, approximately 6" x 4". Spread 1 tbsp softened butter over top of dough then sprinkle with brown sugar. Top butter and brown sugar layer with cranberry sauce, spreading out to about 1/2" of the edge of dough. Roll dough, creating a spiral roll. When you get to near the end, pull up the other side and pinch together to seal. Cut into six equal pieces. Butter baking dish with unsalted butter. Place sweet rolls in baking dish and proof for 1 hour. Bake at 350 for 17-20 minutes, until browned. 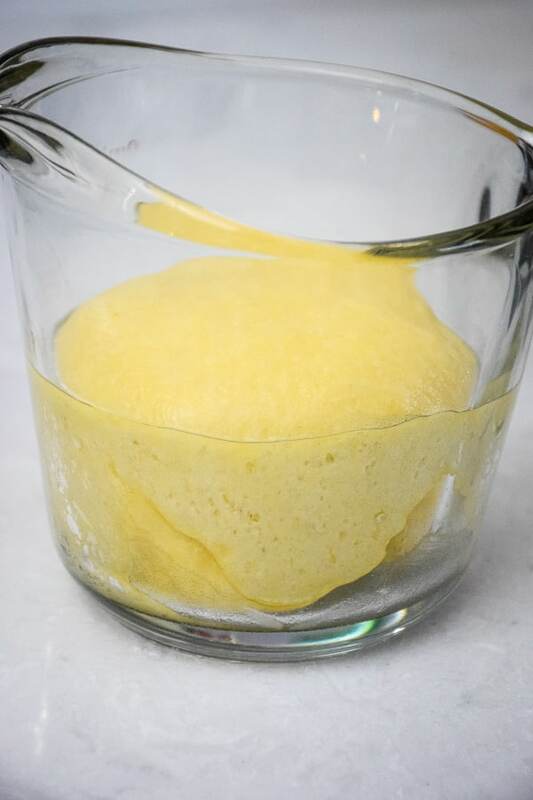 Combine melted butter, orange juice, orange zest, and orange extract, Mix well until completely combined. Spread over top of sweet rolls. Store any leftovers in covered container.